The most recent film in the career of American director Alexander Payne is the 2013 film "Nebraska". Filmed in glorious black and white, which has seen a resurgence as a number of filmmakers have chosen to shoot in this artistic monochrome style. 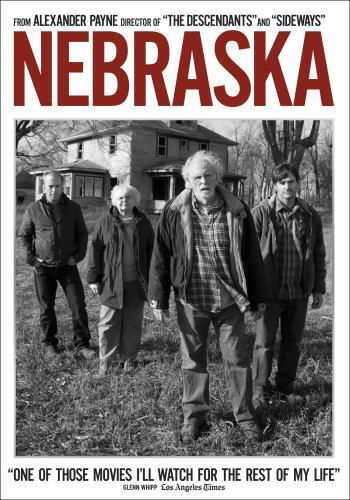 Many factors came into play to make "Nebraska" one of the best films of 2013, from the superb acting performances, the script, the photography and its spot on observation of the human condition. 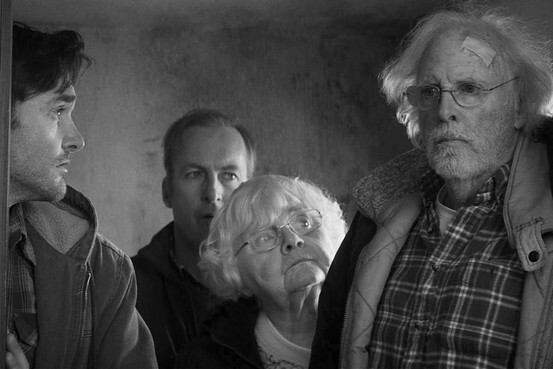 "Nebraska" was nominated for six Academy Awards, but was unfortunately shut out from any wins. This film is about family, unconditional love and redemption. Bruce Dern plays Woody Grant, a man whose best years are far behind him, his memory is rapidly deteriorating but his determination to get to Lincoln Nebraska and collect his million dollar prize could not be stronger. Although he lives in Billings, Montana and has no car or even a drivers license he resorts to wondering down the shoulder of a highway. This is how the film opens. He is lost and oblivious to the things around him with only one thought, get to Nebraska. He is picked up on the side of the road by his son David, played by former SNL cast member Will Forte, who brings him back home. Woody's wife Kate is quite the boisterous spark plug, nearly stealing every scene she's in with her quick-witted remarks and no-nonsense behavior. David has an older brother in Ross (Bob Odenkirk) a local TV news anchor. Woody's so-called million dollar prize is one of those Publishers Clearing House-type sweepstakes, that's obviously just a scam, but not to Woody it represents hope. The hope of providing a long-lasting legacy for his two boys. He's spent most of his life drinking and wasting it away with this being his last chance of redemption. His fierce determination to go to Nebraska remains even after his boys try to convince him that he hasn't won anything. David finally gives in and decides to put this to rest as they get in his truck and head for Lincoln. It would be a good road trip to get reacquainted with his stubborn and angry old man. Along the way, they shack up with Woody's brother and his family. A bunch of small town lowlifes who come to believe that Woody is rich and the vultures all over the small sleepy town want a piece of his imaginary fortune. The town is full of desperate people who are bored to no end, just aching for something to happen. Woody is looked upon as a sort of celebrity, everyone is your good long lost friend when they know you have money. When things start to go south and greed gets the best of people they start turning on Woody and old wounds begin to surface. David and Woody eventually make it to Lincoln and the small office of the sweepstakes company. He is told that he didn't actually win anything but is given a hat that says "Winner". His dreams of redemption seem all but crushed until David hatches a plan to restore his father's pride and dignity and as they make their way back home. The core of "Nebraska" is a funny and endearing story about life that is so universal and basic that it just fits that it is in black and white.